If you book with us, you will save money and time. If you’re looking for a way to plan your trip without hassle or stress, you have certainly found the right place. Making a trip from Canada to Myrtle Beach doesn’t have to be difficult, and that’s our specialty. We have decades of experience in arranging trips and have great ties with the city. Vacations should be relaxing, and we hope to keep it that way. Come See Myrtle Beach and Get Golfing! The golf courses in Myrtle Beach, South Carolina are known all around the world for being some of the best. Here you will find not only challenging and playable courses, but also creativity and scenery that is hard to beat. 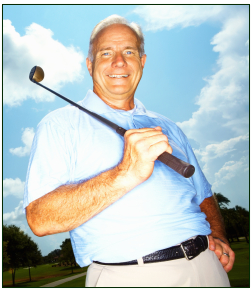 So many courses in the Myrtle Beach area have been featured in golf publications, including top-notch magazines like Golf Magazine and Golf Digest – as well as countless articles and recommendations in the local press. There are plenty of reasons for this, but one aspect that really stands out is the attention to detail on these courses. The best golf architects in the world have come together – often collaborating – to create a rich golfing experience in every sense. They have taken the natural beauty of the Southeast and built the best courses, allowing Nature to flow while still creating entirely playable five-star golf courses. The ambiance is calm and serene, perfect for those who are looking for a relaxing – yet competitive – time at the course. Many of the courses are just minutes away from the daunting yet magnificent Atlantic Ocean. Here you can take in a little relaxation in the sun, sight-see, or strike up some conversations with the friendly natives. And there’s nothing like a walk early in the morning on the beach, watching the massive sun start to peek out over the horizon. Come on Down, Canadian Friends! We specialize in making packages perfect for those of you making the trek from Canada. Whether this is your first trip or you are a seasoned veteran of our services, we’re sure that we can make this a satisfying and rewarding vacation! – Lovely Atlantic Ocean + The Beach!